Google CEO Eric Schmidt has insisted that YouTube will eventually become a 'profitable and successful' business, despite suggestions that it will lose hundreds of millions of dollars this year. Schmidt, who is currently the focus of the Federal Trade Commission over his role on the boards of both Apple and Google, would not comment directly on suggestions that YouTube was going to lose $400 million (£265m). However, the internet and advertising giant's CEO insisted that Google could turn YouTube into a key asset. "What we said is we believe YouTube will eventually be a successful and a profitable business and it will take some time to do it,"
Google bought YouTube for $1.65 billion (c£1bn) in October 2006, after the site rose to prominence as one of the most popular sites in the world and the leading provider of video. Meanwhile, Schmidt insisted that the FTC investigation had not brought about any thoughts of resignation. "If there are issues on competitiveness, I recuse myself," said Schmidt, adding thoughts of resignation "hadn't crossed my mind." 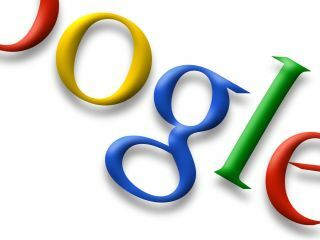 But he did confirm that Google is having to be much more careful in its dealings, as the company continues to dominate the world of the internet. "What is changed is that we are more careful about when and how we do things which are going to raise concerns of any party," said Schmidt. "But it hasn't prevented us from doing them."